“Sixty percent of the deaths cover those who have underlying health problems,” Chan said. 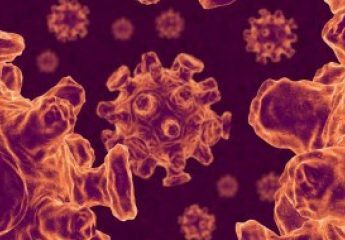 “This means that 40 percent of the fatalities concern young adults — in good health — who die of a viral fever in five to seven days. Perhaps most significantly, clinicians from around the world are reporting a very severe form of disease, also in young and otherwise healthy people, which is rarely seen during seasonal influenza infections. In these patients, the virus directly infects the lung, causing severe respiratory failure. Saving these lives depends on highly specialized and demanding care in intensive care units, usually with long and costly stays. During the winter season in the southern hemisphere, several countries have viewed the need for intensive care as the greatest burden on health services. Some cities in these countries report that nearly 15 percent of hospitalized cases have required intensive care. Preparedness measures need to anticipate this increased demand on intensive care units, which could be overwhelmed by a sudden surge in the number of severe cases. An increased risk during pregnancy is now consistently well-documented across countries. This risk takes on added significance for a virus, like this one, that preferentially infects younger people. Data continue to show that certain medical conditions increase the risk of severe and fatal illness. These include respiratory disease, notably asthma, cardiovascular disease, diabetes and immunosuppression. When anticipating the impact of the pandemic as more people become infected, health officials need to be aware that many of these predisposing conditions have become much more widespread in recent decades, thus increasing the pool of vulnerable people. Obesity, which is frequently present in severe and fatal cases, is now a global epidemic. WHO estimates that, worldwide, more than 230 million people suffer from asthma, and more than 220 million people have diabetes. Moreover, conditions such as asthma and diabetes are not usually considered killer diseases, especially in children and young adults. Young deaths from such conditions, precipitated by infection with the H1N1 virus, can be another dimension of the pandemic’s impact. Several early studies show a higher risk of hospitalization and death among certain subgroups, including minority groups and indigenous populations. In some studies, the risk in these groups is four to five times higher than in the general population. Although the reasons are not fully understood, possible explanations include lower standards of living and poor overall health status, including a high prevalence of conditions such as asthma, diabetes and hypertension.